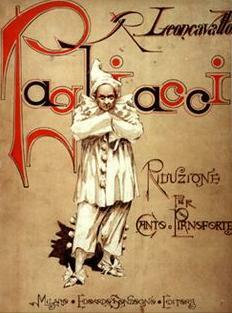 Opera, "an exotic and irrational entertainment", was born in Italy, and grew up and died there. The author takes a microscope to Italian opera in this book, which is really for serious students of the art form. What is the art form? It is verse and music made by a team, a librettist and a composer, used to create either musical drama or musical comedy for the stage. All the arts of stage entertainment are used to create the emotion that is opera: music, staging, costumes, choreography, singers, lyrics. Fascinatingly, the author points out that early opera was an attempt to recreate the entertainments of Ancient Greece during a Humanist revival era in Florence, Italy. The Ancient Greeks combined recitation and music on stage, so the earliest operas were recited verse delivered by actors accompanied by music. 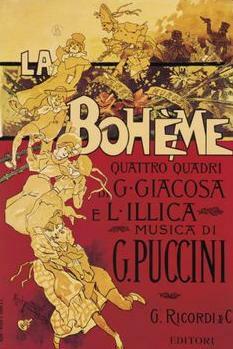 Operatic love stories, with their seriously flawed characters and exotic settings were high poetical drama set to music. While the music changed over time from early Baroque declamation to late Romantic lyricism, the words were Italian poetry. The librettist was always a poet, using meter, rhyme and form, because the words in opera are poetical, not prose. The dissection of the operas are done to discover the basic workings of opera, such as the subjects, how to stage then, and to learn to look at opera as drama. The author looks at the cast, the history, a summary of the plot, early performances, and the lyrics for each. Meter, rhyme, and form are studied in detail for various examples from the operas, including folksongs, prayer songs, toasts, and intro songs (I-songs for the protagonist to introduce him/herself to the audience). There may be a bit more than most readers would want to know in this book. I found that the dissection of the operas destroyed something, as dissection always does. You come to understand the operas technically which can lessen the emotional impact of the beauty of the performance. This is a book for aficionados, and would-be librettist and composers, and for serious students of the art form. At times it read like a talk to a university class or an opera club. There is an extensive Further Reading section for those who wish to continue their study of opera. I can't post a review of a book about opera without including a video clip from an opera! Here is Placido Domingo singing (with subtitles in English) a scene from Rigoletto. Opera is often regarded as the pinnacle of high art. A "Western" genre with global reach, it is where music and drama come together in unique ways, supported by stellar singers and spectacular scenic effects. Yet it is also patently absurd -- why should anyone break into song on the dramatic stage? -- and shrouded in mystique. In this engaging and entertaining guide, renowned music scholar Tim Carter unravels its many layers to offer a thorough introduction to Italian opera from the seventeenth to the early twentieth centuries. Eschewing the technical musical detail that all too often dominates writing on opera, Carter begins instead where the composers themselves did: with the text. Walking readers through the relationship between music and poetry that lies at the heart of any opera, Carter then offers explorations of five of the most enduring and emblematic Italian operas: Monteverdi's The Coronation of Poppea; Handel's Julius Caesar in Egypt; Mozart's The Marriage of Figaro; Verdi's Rigoletto; and Puccini's La Bohème. Shedding light on the creative collusions and collisions involved in bringing opera to the stage, the various, and varying, demands of the text and music, and the nature of its musical drama, Carter also shows how Italian opera has developed over the course of music history. 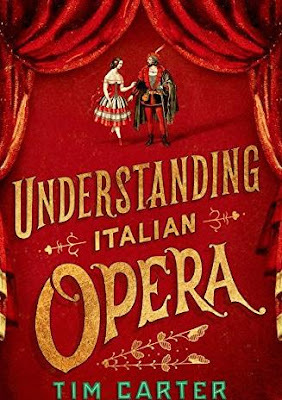 Complete with synopses, cast lists, and suggested further reading for each work discussed, Understanding Italian Opera is a must-read for anyone with an interest in and love for this glorious art.